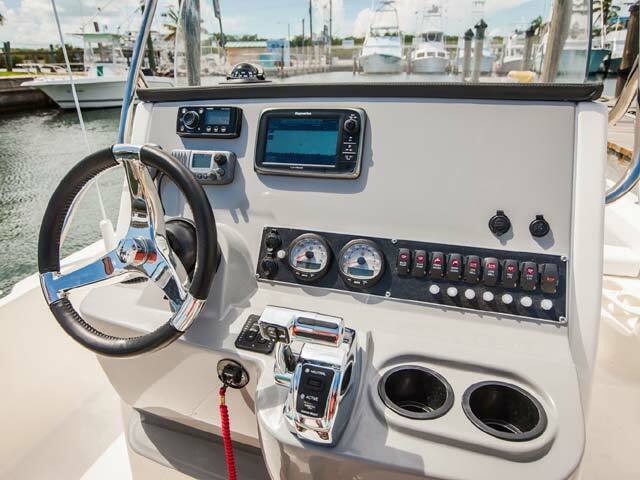 This center console boat is well equipped with amenities and options for active families and serious anglers. 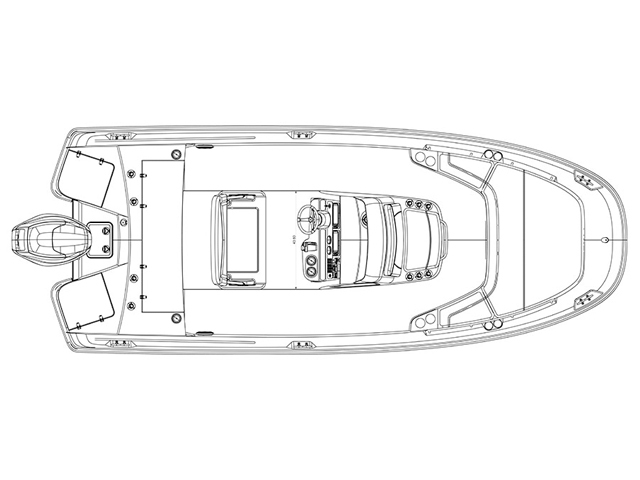 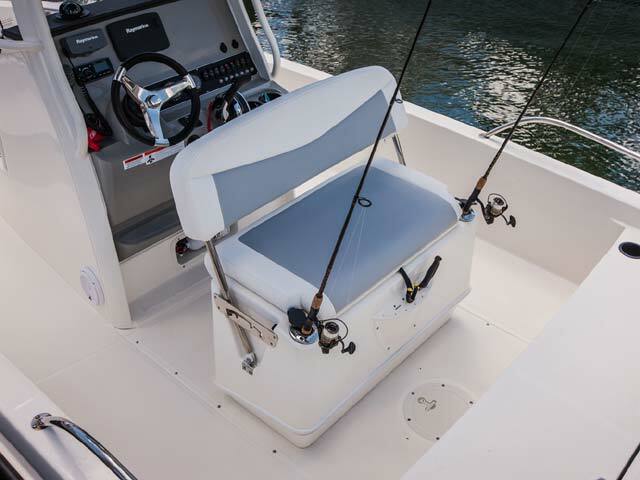 Whaler’s flip-up aft seating converts in seconds to form a huge full-width casting platform. 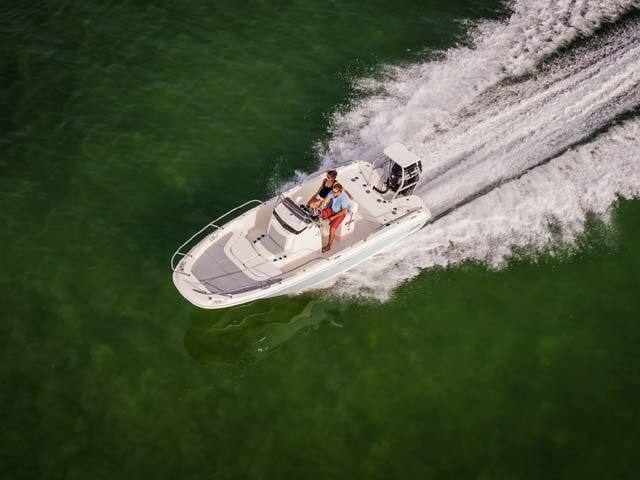 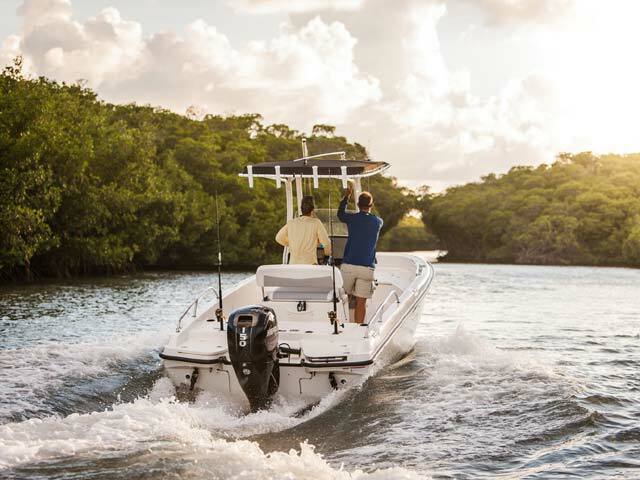 Purposeful rod and gear storage and an optional trolling motor panel make it a formidable fishing boat, especially when you factor in the Dauntless’s unsinkable safety, smooth handling and soft, dry ride. 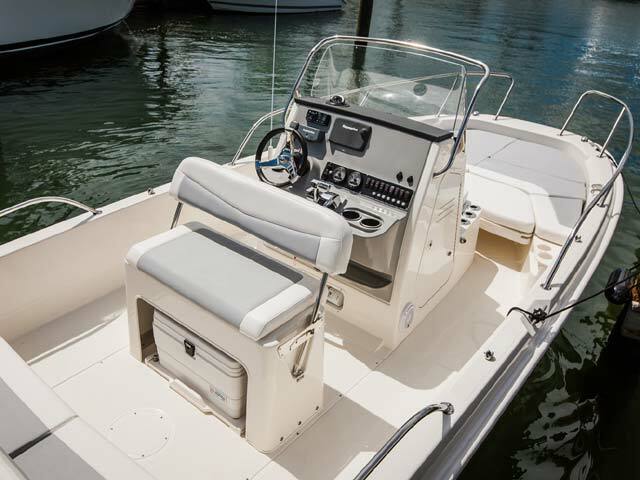 The 210 also features a plush bow sun lounge option with backrest, making the area a natural source of relaxation. 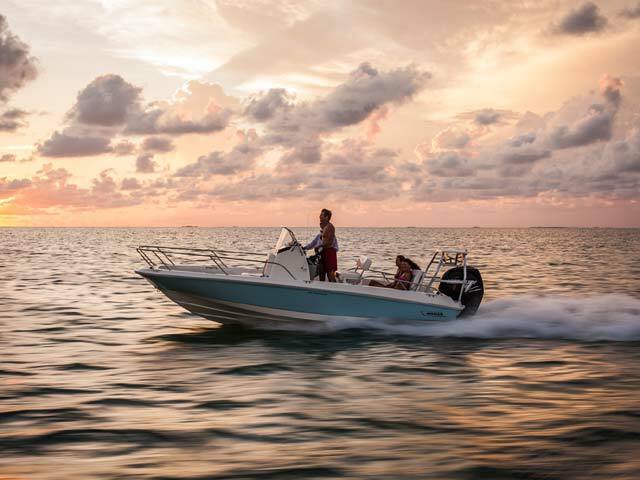 And with the All-Activity Tower option on your new Dauntless, watersports are more exhilarating than ever. 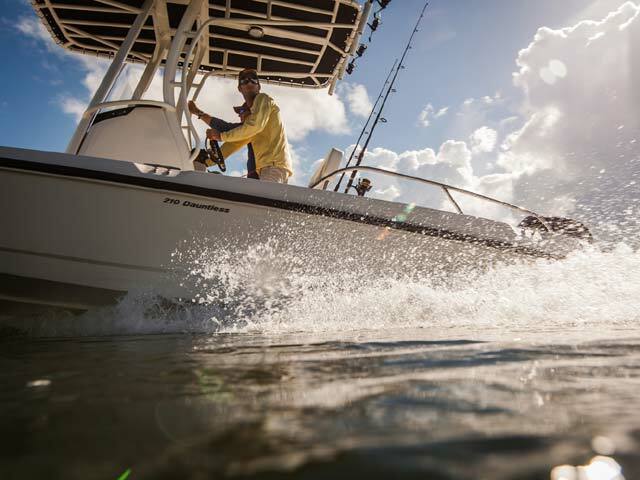 For great sport fishing action or all-day play, the 210 Dauntless is a winner.